Auckland Car Buyer services Auckland car sellers with car & truck buying services that are unparalleled. With us, you have a car buyer that is dedicated to providing you with a stellar car selling experience! Call us for a quote to get your car or truck sold today. Car sellers located in the Inner City have the advantage with Auckland Car Buyer. We are a top-rated car buyer that services all suburbs in the Inner City with top cash car sales and removals. With us, you can live in Mechanics Bay or Saint Marys Bay and expect the same quality services. There’s no reason to look high and low for a buyer for your car or truck for sale in North Shore. Auckland Car Buyer is a buyer can easily be contacted over the phone or online. We service North Shore car sellers with quality services wherever they are located on the North Shore. Get your car sold in Bayswater or Birkenhead or any other suburb in the North Shore for top cash. When you are located in the Eastern suburbs and have a car for sale, go with the pros. Go Auckland Car Buyer to get a top cash price for the car. Not only a top cash price for the car, but also a free removal. Whether you are located in Tamaki or Saint Johns, we can be there today to pay cash for your car. Expect only the best in cash prices and services when selling a car when you contact Auckland Car Buyer. We service the Western suburbs with quality services for a fast & convenient car sale. Whether located in Avondale or Kingsland, you can get your car or truck sold. Reside or work in Manukau? 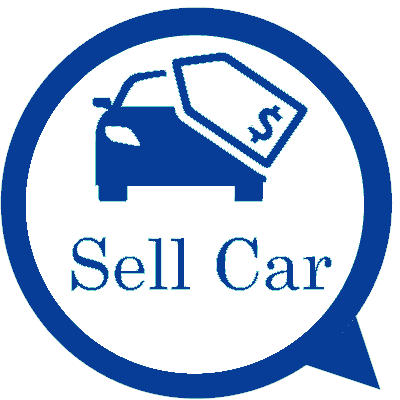 Have a car or truck for sale? Don’t waste time looking for a buyer when you may find your buyer with one call to Auckland Car Buyer. We service sellers with a fast and convenient way to sell cars. We offer quality services and high cash payouts whether located in Alfriston or Bucklands or any other suburb in Manuaku. Have a car in the South that is for sale? Possibly a truck? With Auckland Car Buyer, you have a car buyer that pays cash for cars. Cash that is so easy to obtain whether you are located in Westfield or Royal Oak. We service all suburbs in the South with fast and convenient car sales and removals. Contact us to get a quick quote over the phone or online. Accept our quote, and you can be counting the cash today. Contact us for a cash quote for your unwanted car or truck. Accept or reject the offer. There is no obligation to accept our offers, and if you would like to shop around a bit more, then let us know you’ll think the quote over. Schedule a free car removal in your local area. All removals are provided at times that do not hinder the schedules of our customers. To obtain a cash quote for your unwanted car or truck, give us a call at 0800114311. For an online quote, complete our "Get a Quote" form at the top right of this page.